I've gone for slightly different colours than the usual Christmas, I do like to show & share different ways. I hope you like my take on this Christmas theme. Hey there, so I'm in with another Christmas card before I go to Brussels for Stampin' Up! 's on stage event. I came across a fab sketch at Fab Friday & I couldn't wait to get creative with it. I love this colour combination, which is Marina Mist with Elegant Eggplant tinsel & Pool Party with Real Red baubles. Against the Delightful Dijion & Blackberry Bliss I love it!! I love how the embossing folder just adds a little texture without taking away from the lovely Christmas trees. To create the little border around the decorative label punch I just punched another whole one out in colour & cut it in half, I also punched a two of the sides of the card - I didn't bother punching another whole one out. I then just glued & layered with an equal border - don't you just love what simple things you can do with a punch :)! 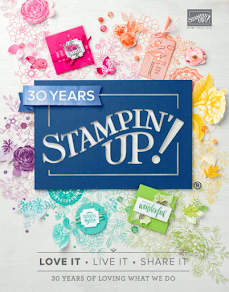 Thanks for stopping by & happy stamping.